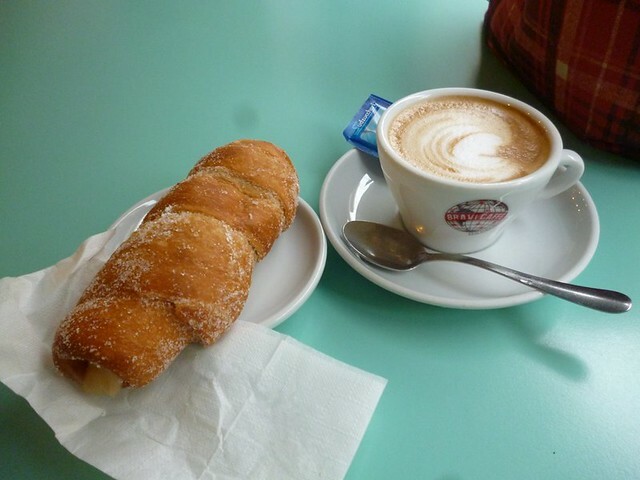 Anyway, I did visit the local cafe/bar called Bar Europa and ordered a cappucino and a pastry. Go me! I wandered around aimlessly after breakfast. Thank goodness Civitavecchia has free Wi-Fi on the main street which I used to contact my family. I did buy a SIM card but there was a BIG problem. Even though I bought my Italian SIM card from Wind yesterday evening, it wasn’t activated in the morning. It wasn’t until 12 noon and a bit of fiddling by the man who sold me my SIM card that my phone started working. This is the longest I’ve waited in any country for my SIM to work. Fast forward to after my check out and after my SIM card finally worked, I had Middle Eastern for lunch and went to wait for my train at the station. Interestingly, my express train was on time. Yesterday’s slow trains to and from Tarquinia were both late by 10 minutes. The view from the train was beautiful. There were meadows of wild flowers, puffs of sheeps grazing and even a view of the coast. It’s true that Tuscany is beautiful. At around 3:50pm, we stopped at a station. I checked Google Maps which told me that we have 120km to Pisa. I didn’t think we could cross 120km in 20 minutes but miraculously, we did! Being the cheapo tourist that I am, I decided to walk from the hotel to the Leaning Tower of Pisa. Thank goodness for Google Maps or I will be very lost while travelling. The journey from the hotel to the tower was filled with cute old buildings. Almost 1 out of 10 people were walking their dogs. Six out of the 10 seemed to be tourists. I didn’t turn on Google Maps while walking so I was a bit off course. (If this is the magical “getting lost” that travel pros tell us to do, I’d rather not have that much of it and get to my destination fast.) Being off course meant that my first view of the Leaning Tower was from its back. I saw the tip of the tower first and giggled. Finally! I’m meeting the famous tower. When I saw the tower, I was surprised that it was bigger than I imagined. Usually, we see a faraway shot of the tower so seeing it being thick at the waist was a surprise. The highlight of the area wasn’t the tower but the exhibition in the different buildings. The entrance to the four buildings (excluding going into the tower) is 9 euro but the things you get to see is worth a lot more than that. There were carvings, frecos, tracings behind frescos, golden wine cups, tapestries, stone coffins, and many many more. The cathedral (which is free) has a most gorgeous interior. 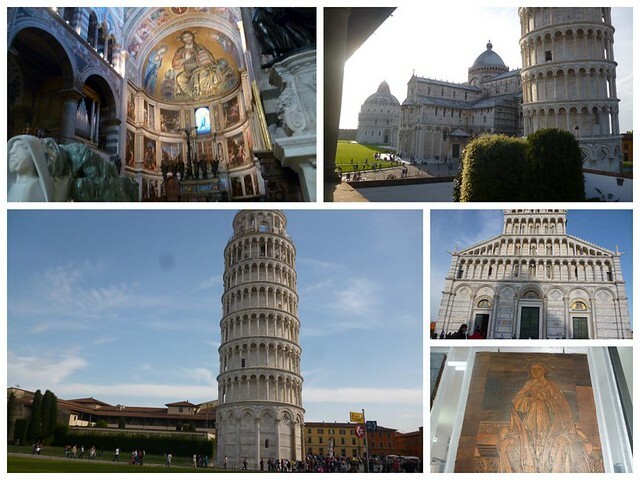 My check list for Pisa was all ticked after the visit. Dinner was gelato and strawberries. I passed by a gelato shop and bought a cone with macademia (yums!) and coffee (hmm…). 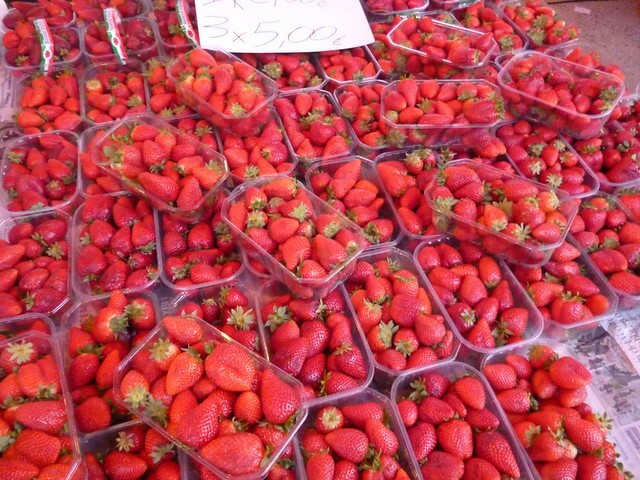 Strawberries were on sale at a fair and I bought 3 packs for 5 euros. This was the second night I had strawberries for dinner.